What does it mean to be a neighbor? Especially a good neighbor? How do we live in a way that shows love, concern, and respect for our neighbors in the same way we love ourselves, our interests and our own families? 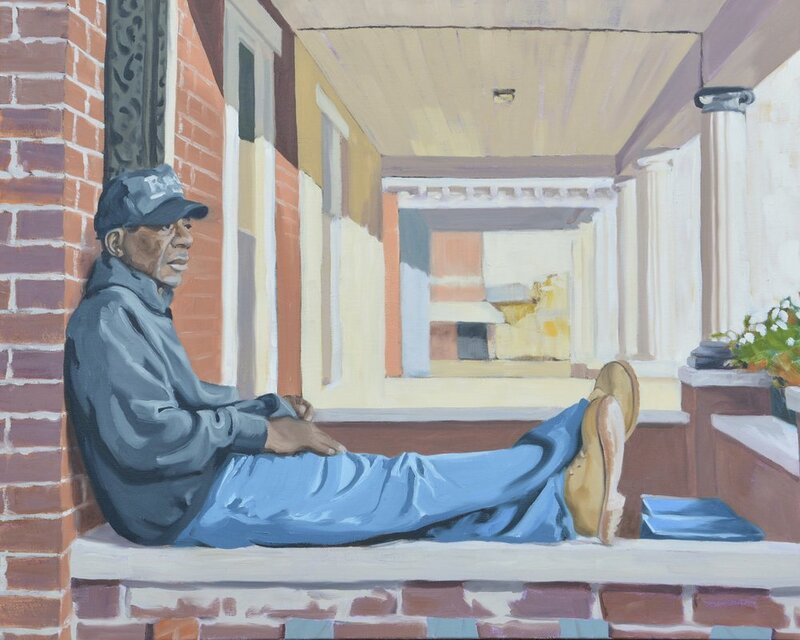 These portraits explore and celebrate good neighbors, my neighbors, along one street in North Philadelphia. The evidence of bad neighbors is easily visible, but the actions of good neighbors are harder to see, often done humbly without calling attention. The subjects of these paintings tirelessly clean up leaves and trash for the entire block, advocate for better schools and better health care and more effective policing, care well for their kids and grandkids and my kids, alert one another when something is wrong, share food with one another, and many other daily actions motivated by love. We must choose our neighbors: not in the sense of withdrawing to only being with those who are like us, but in choosing to care for those outside of the four walls of our own homes as if they were our own family.